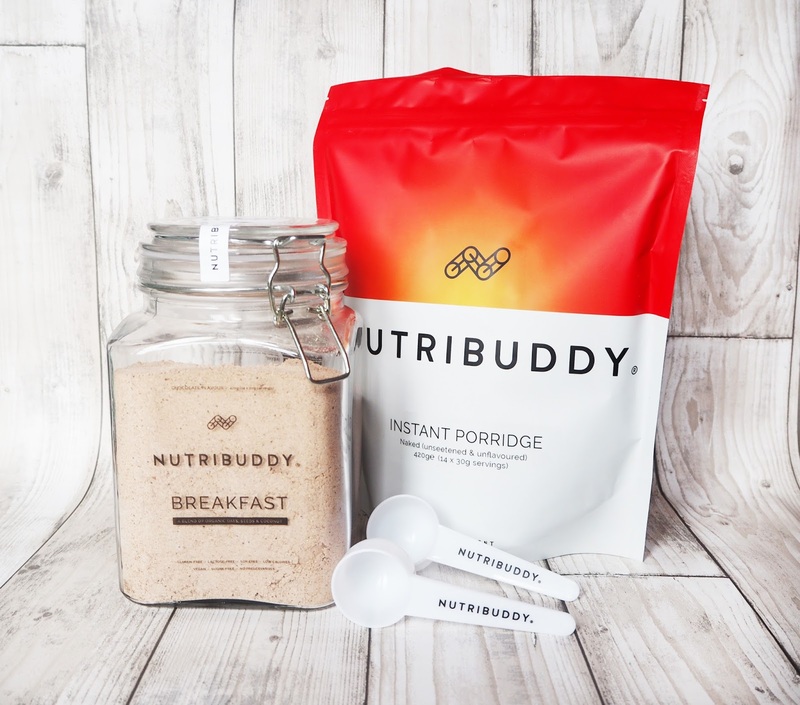 Last June I was reviewing the Nutribuddy Weight Loss Shakes and was thrilled to bits to get involved once again to try these new Breakfast Kits. 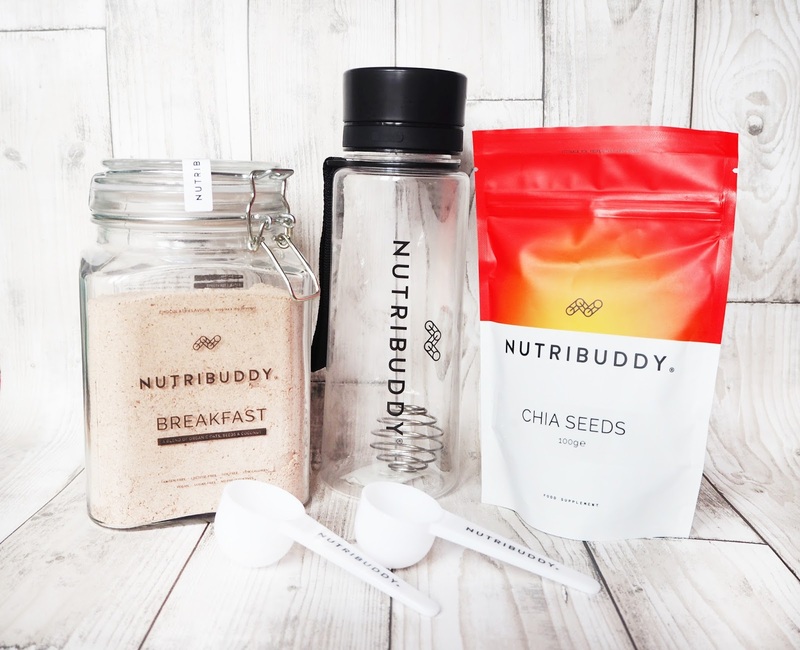 Nutribuddy very kindly sent me this new bundle to try and as I'm on a mission to make myself a little bit healthier, I couldn't wait to get started. Included in the kit is some instant porridge, a jar of chocolate breakfast powder which is basically a blend of oats, seeds and coconut, along with three different pouches of chia seeds, flax seeds and desiccated coconut, with a couple of scoops and a shaker. The entire set is suitable for veggies and vegans so happy, smiley faces all around! My first experiment consisted of soaking some oats overnight in some hemp milk (as I don't drink cows milk) and I also added some of the flax seeds, chia seeds, some blueberries, raspberries and a sprinkle of coconut. I'm not a huge fan of coconut but adding a small amount means you can't taste it whilst still getting the goodness. I soaked mine in a jar to have as breakfast the next morning and it was so tasty! Overnight oats is a great option for brekkie and there are so many different recipes which I am dying to try. 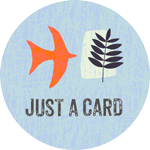 Pinterest is an awesome place to have a mooch around to collect some ideas. 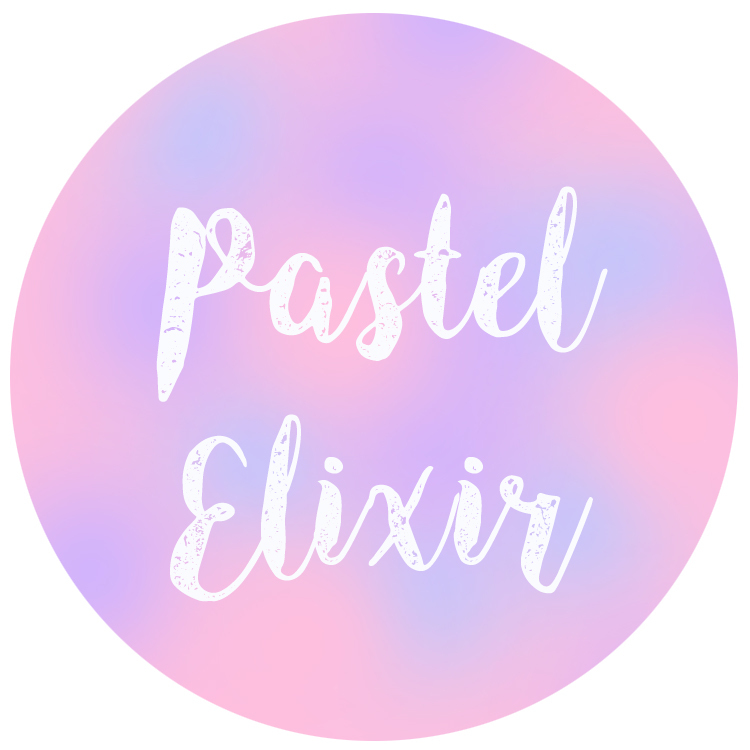 Yoghurt is also a really nice alternative to milk and makes a much creamier consistency, plus there are loads of flavours to choose from, my favourite being strawberry! I also tried the breakfast powder in my shaker with some chocolate soya milk and it was surprisingly filling. I always use the chocolate soya milk as I feel it has more to it than just the plain soya/rice/hemp milk and it also feels like more of a treat rather than a strict healthy breakfast. I would never have thought to add things like chia and flax seeds to my morning porridge and the best thing is, if you're not a fan you hardly notice they're there but they're so healthy and we all need more super foods like this in our bodies. 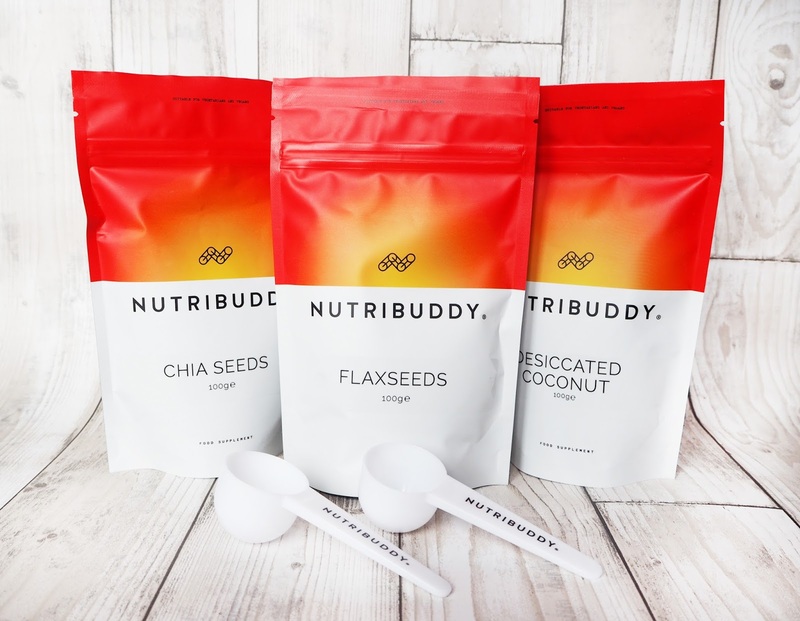 I'm a huge fan of Nutribuddy products because they taste great which can often be a bit of a flaw in healthy weight loss style items I've tried in the past. 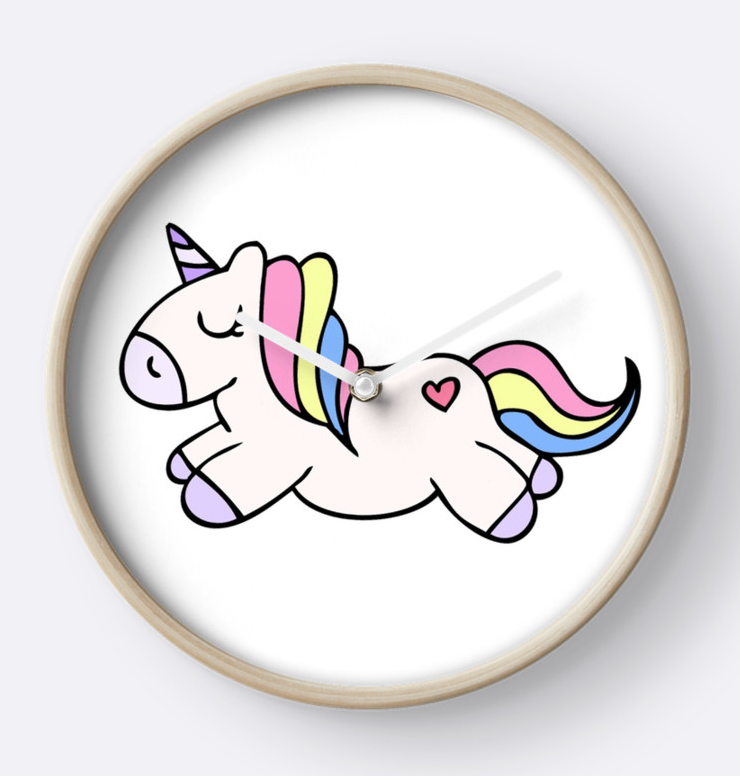 The last thing you want is to feel even more deprived than you already do whilst trying to cut out unhealthy foods and Nutribuddy, especially the chocolate flavours, really hit the spot for me and I don't feel like I'm missing out on the sweet, fatty snacks that I'm so used to cramming into my face. A huge thank you to Nutribuddy for sending this kit over to try and I'll pop a link below to the kit if you want to try it for yourself. I like to focus less on the weight loss and more on getting my body healthier and fitter and there's no better place to start than with a filling, healthy breakfast.